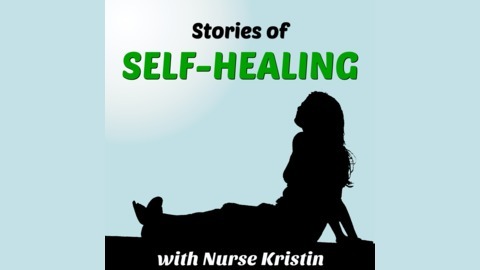 Stories of Self-Healing is a bi-weekly podcast featuring Nurse Kristin's interviews with courageous men and women who have conquered serious health challenges and even reversed chronic disease such as diabetes and rheumatoid arthritis after making diet and lifestyle changes. Many of these men and women have gone on to be influential in helping others make similar changes in their own life. Whether you want to help others learn about alternative natural ways to improve their health, or you are simply seeking inspiration for making changes in your own life, these Stories of Self-Healing are sure to inspire and guide you! 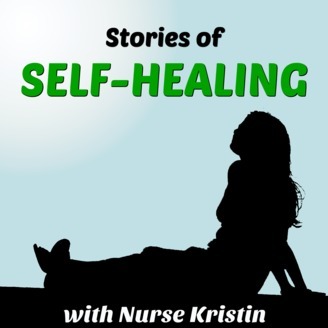 In the episode of Stories of Self-Healing, you are going to hear Joyce Hale share her story about overcoming Lupus. Just a few years ago, Joyce’s Lupus had advanced to the point where her medications were not stopping the progression of her illness and almost every organ in her body attacked by this disease. She was having daily seizures which were causing her to face the reality that soon, she would no longer be able to work. Joyce already had a titanium plate holding one side of her jaw together and was recently informed that she would need to get another plate to hold the other side of her jaw together. Doctors told her that the only way avoid this was to get her Lupus under control. But after years of struggling with this disease, her health started to improve. In a last ditch effort to “try anything”, Joyce decided to try eating a Whole Food Plant Based Diet. After only a couple of weeks, her seizures lessened, she was able to reduce the doses on some medications. Over the next couple of years, Joyce dug deeper into plant based nutrition and today, Joyce is Lupus Free and 100% Medication Free. And today, she is here to share her journey and story with you.